Quick read. Amazing, heartfelt, tender, and beautifully written. About a girl, Marin, who has been tossed around from foster family to foster family since she was four. Marin finally lands with someone who wants to adopt her. But Marin has always felt a longing to reunite with her birth mother. If she could just find her birth mother, Miran thinks maybe they could be a family again. I adored how the author, Melanie Crowder, wrote chapters from the perspective of Marin, the uneasy earth beneath, and the owl who watches over them. 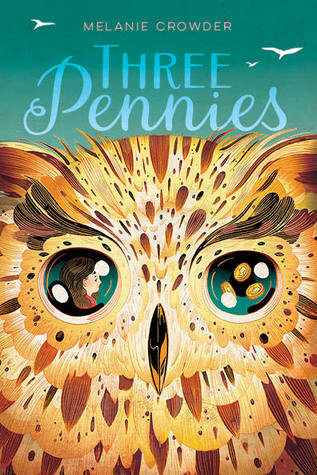 THREE PENNIES is the perfect addition to any classroom, school, or family library. Perfect for ages eight and up.